Who is that taking the photo? 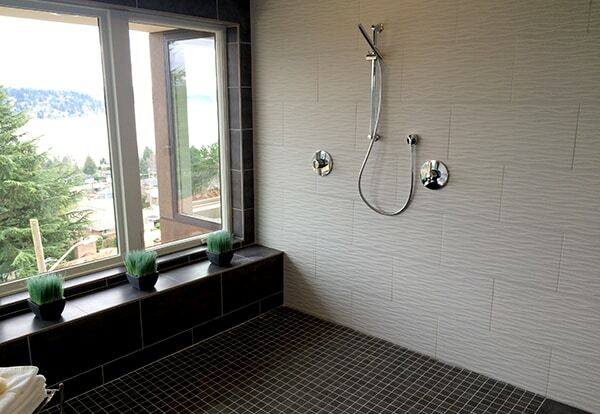 The shower merges with the bathroom without walls … and a view … in, and out! 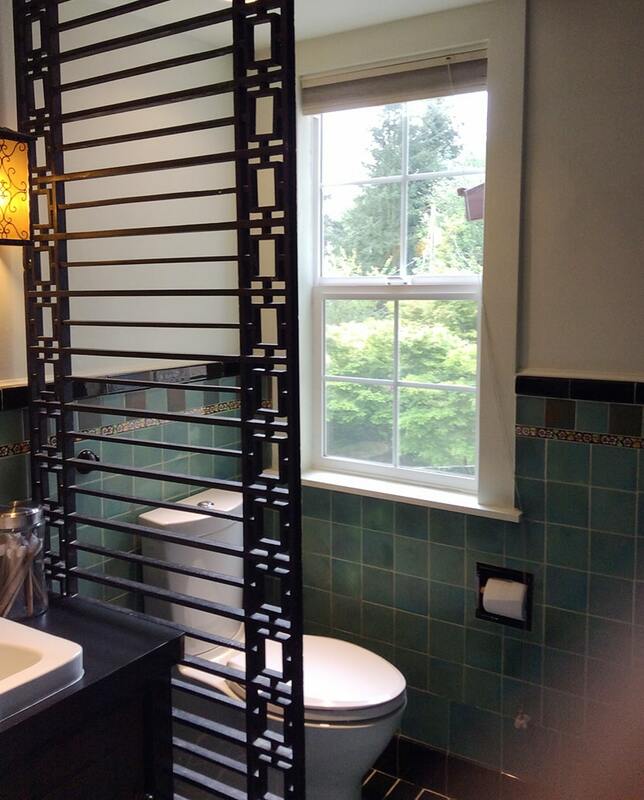 Natural materials in the bathroom, of course! Basins carved out of rock, placed on gorgeous red wood.. This sink is made with a form of cement. Surfaces left “rough”. Love it! Why have cabinets built? 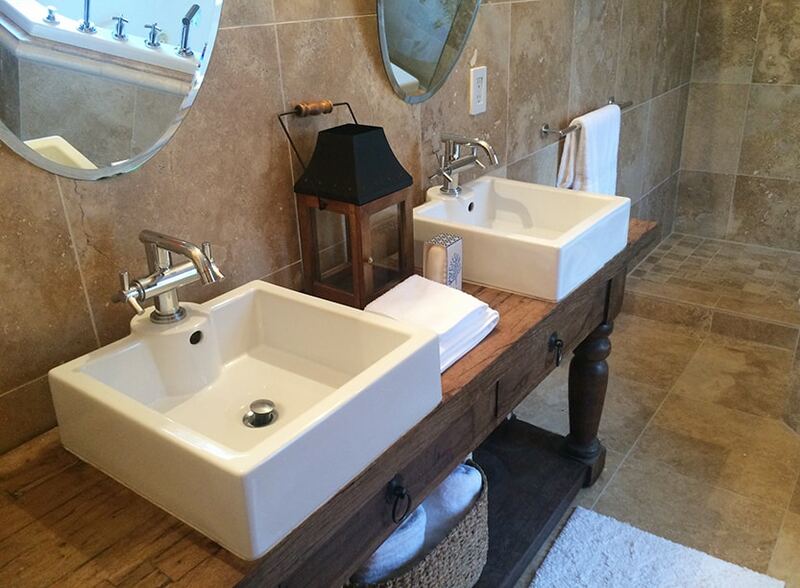 Go out and find an antique dresser and have marble cut into a sink. Concrete bathtub by Kundig. Need I say more? Okay- that Mexican floor rug as accent is brilliant! Yep. That’s me with my client. 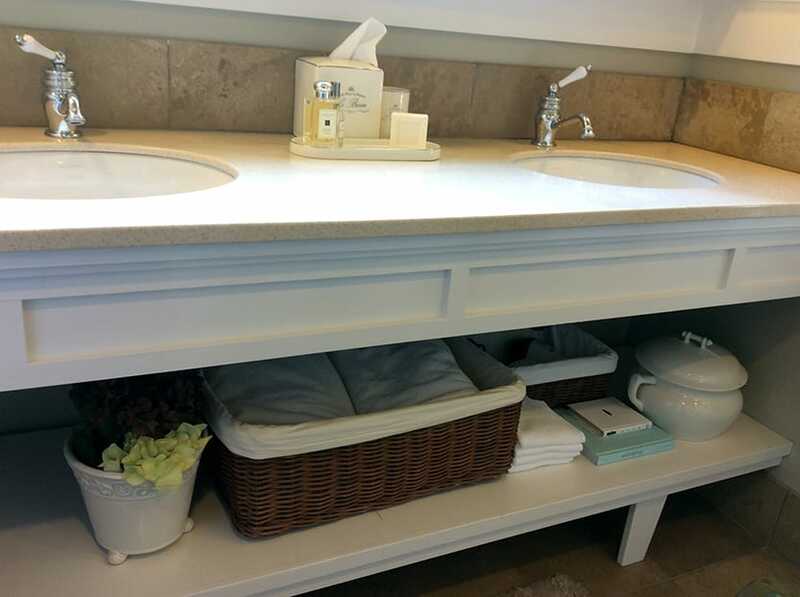 Although, notice the asymmetric custom designed drawers below the sink. Got to love “tone on tone”: textured white and light grey walls, a white-white sink, white and grey tile floors, gray accented wall.